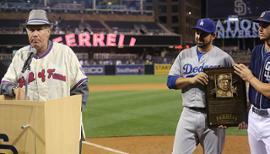 Will Ferrell does not have any MLB stats for the season. March 12, 2015 1B Will Ferrell assigned to Chicago Cubs. March 11, 2015 RHP Will Ferrell assigned to Los Angeles Dodgers. March 11, 2015 C Will Ferrell assigned to San Francisco Giants. March 11, 2015 DH Will Ferrell assigned to Chicago White Sox. 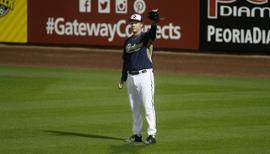 March 11, 2015 RF Will Ferrell assigned to San Diego Padres. March 11, 2015 CF Will Ferrell assigned to Los Angeles Angels. March 11, 2015 LF Will Ferrell assigned to Arizona Diamondbacks. March 11, 2015 3B Will Ferrell assigned to Cincinnati Reds. March 11, 2015 2B Will Ferrell assigned to Seattle Mariners.